Happy Holidays from all of us at The PBEye! Choosing the perfect gift during the holiday season can be a challenge. Fortunately, we are here to help with even more of our favorite gift ideas that also give back. Need a gift for your favorite runner or yogi? Check out Love Bottle. For every bottle purchased, the company donates 5% of every purchase to Global Water, a nonprofit dedicated to making safe drinking water accessible. As the weather gets colder, winter accessories are a great gift. Love Your Melon offers stylish hats but the company also donates 50% of all profits to non-profits in the field of pediatric cancer, including funding research initiatives and supporting families in need. In addition to monetary donations, Love Your Melon strives to ensure that every child battling cancer in America receives a donated hat. Looking for a way to show support for causes dear to you? Pura Vida Bracelets handcrafts a Charity Collection of bracelets. Each bracelet in the collection is associated with a specific charity, which receives a portion of the proceeds from every bracelet sold, while raising awareness about the cause. Although many professions involve giving to others, it is important to practice self-care. If you are looking for a gift to aid relaxation, Soapbox is a body product company that produces naturally derived soaps. For every bar of soap that is purchased, Soapbox donates a bar to people in need in the United States and around the world. Something for everyone: there are incalculable opportunities to support social entrepreneurs who also give back to their community. 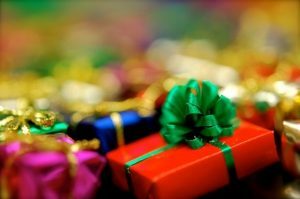 In addition to these ideas, we always suggest doing more pro bono work – one of the best gifts you can give is your time!